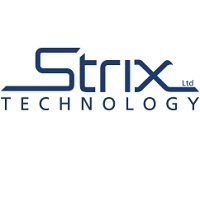 Strix Group Plc (LON: KETL), the AIM listed global leader in the design, manufacture and supply of kettle safety controls and other complementary water temperature management components, has today provided an update on its intellectual property protection initiatives. Although all manufacturers that currently seek to copy Strix’s controls and connectors are based in China, not all these manufacturers sell their products on the China domestic market where Strix has much of its IP registered. In an effort to try and avoid patent infringement proceedings some of these manufacturers only export their products, often to countries where Strix does not have its IP registered. However, under China patent law it is still an offence to manufacture infringing product in China regardless of its ultimate destination. Acting on information provided by Strix, local IP enforcement authorities were able to raid a factory in Guangdong province belonging to Foshan Shunde Xiaolong Electrical Appliance Co. and seize electronic kettles that infringed Strix’s IP and which were to be exported to South Korea. The parties subsequently settled matters as set out below. In an example highlighting the different ways the Company can protect its position concerning its older products, Strix brought a claim based on unfair competition against Expo Börse GmbH and Schou Germany GmbH who had imported kettles into Germany which, according to Strix, incorporated copies of its controls and connectors. The parties subsequently settled matters as set out below. Strix continues to monitor internet product sales and takes action where appropriate. The Company recently brought a complaint of electronic kettle patent infringement to the attention of Amazon who swiftly removed the webpage from their platforms of one vendor, DEUBA, who settled with Strix as set out below. 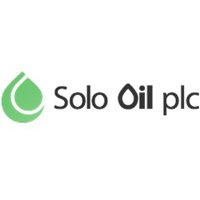 “Protection of our technology and products remains a key focus of the Company. The maintenance of our brand value supports us in retaining our market share and strong relationships with our customers. Strix Ltd. (hereinafter referred to as Strix) brought a patent infringement claim against Foshan Shunde Xiaolong Electric Appliances Company Ltd. (hereinafter referred to as Litlon) who had been manufacturing electronic (healthy eating) appliances in the People’s Republic of China and exporting them to the Republic of Korea. These electronic appliances incorporated controls and connectors that Strix believed infringed its China patent no. 00802943.1. The two parties reached a settlement through friendly consultations and Strix and Litlon signed an agreement whereby Litlon agreed to cease trading such appliances and undertook to fit Strix controls and connectors into its range of electronic (healthy eating) appliances and to no longer purchase controls and connectors from other suppliers that infringed Strix’s patent. Furthermore, Litlon undertook to pay undisclosed compensation to Strix. The water kettle type “Kitchen Power WK-2200.20” has been imported into Germany by Schou Germany GmbH and has been distributed in Germany by Expo Börse GmbH via several channels since 2015. These water kettles were fitted with control units labelled “Fada SDK-10A”. Such control units are a slavish copy of Strix Limited’s renowned and widespread control and connector units “R7” and “P69” respectively. This means the copied control and connector units are identical to the original down to the minutest details. Fitting water kettles distributed/imported by Expo Börse GmbH and Schou Germany GmbH with such identically and illegally copied control and connector units infringed Strix Limited’s right to competitive product protection for their products “R7” and “P69” under German law. Expo Börse GmbH acknowledged the claims brought by Strix Limited to the Düsseldorf Regional Court (file number 14c O 239/17) and agreed to cease and desist from advertising and/or offering and/or placing on the market water kettles fitted with slavish copies of Strix’s R7 control unit and P69 connector unit and also agreed to pay Strix an undisclosed sum in damages. Strix brought a patent infringement claim against DEUBA GmbH & Co. KG who imported kettles into Germany and sold them via Amazon that incorporated controls and connectors that infringed Strix’s European patent EP 1 858 297 B1 and also its Chinese patent ZL00802943.1 where the kettles were made and exported. The parties settled matters and DEUBA GmbH & Co. KG agreed to pay an undisclosed sum to Strix and undertook to cease and desist from infringing Strix IP in the future.